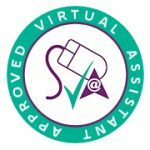 Back in 2006 we established the UK’s first professional standards for virtual assistants… They were reasonably simple, but surprisingly a lot of VAs simply hadn’t ever considered the security of freebie email addresses or even what they would do in case of flooding or a burglary… The SVA Approved list was born! 10 years on, the industry has made huge leaps, but we are still somewhat hampered by a reputation of being a home-based industry. That affects every VA who has ever had a client haggling on price, or being unsure of working with us. The idea behind the professional standards is to raise standards across the board for virtual assistants – and to create something to aim at for new assistants entering the industry. READ Being bigger as a virtual assistant doesn't always mean better! Thanks go out to BeMyVA, VACT, The VA Doctor, MyVACompany, VIP-VA, Michelle Poole, Lyndsey Gilchrist, Phillippa Goodwin, VA Pro Mag and VA Success Group for helping us come up with the new rules!